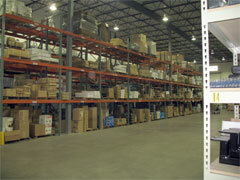 Our New State Of The Art Corporate Warehouse In Elgin, Illinois. America’s foremost DIRECT distributor of specialty tools and equipment for auto body repair has been serving the professional body man for over 37 years. An experienced professional body man, Mike Doughty, founded Auto Body Toolmart’s parent, Champ Frame Equipment, in 1981. Uni-body construction had come to dominate automobile manufacturing in America. As a professional body man, Mike understood the need for a well designed, value priced uni-body straightening system. Champ was the first company in America to offer a complete post-based system for uni-body repair. Other companies were importing their (expensive) technology from Europe or building cheap imitations of high-end frame straightening machines. But Champ designed, patented, and manufactured innovative and complete floor pulling systems. The result was a line of frame straightening systems that offered the body shop technician the low cost and speed of a pulling post with the precision of a three dimensional system wrapped in a package that any body shop can afford. Building on this success, Champ launched The Auto Body Toolmart Catalog in 1992. Initially the catalog was mailed only to body shops. As we grew our product offering expanded to include general mechanical repair tools and tools for restorers. Today we mail millions of catalogs across America. The Auto Body Toolmart catalog offers auto body technicians and automotive mechanics virtually every type of tool needed to repair and maintain vehicles. Unlike most of the companies selling tools today, Auto Body Toolmart is a full stocking distributor. 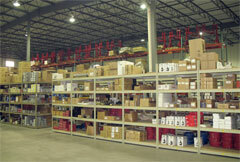 We actually inventory the vast majority of the products that we offer. Exceptions, such as paint booths, are clearly marked. This allows us to offer you the best prices and ship faster than any of the non-stocking merchants/jobbers. Highest Order Fill Rate In he Industry! Auto Body Toolmart quickly became one of America’s foremost suppliers of specialty tools and equipment to Body shops all across North America. Today we count over 100,000 satisfied customers! Why have so many body shops selected Auto Body Toolmart to be their source for the tools they need to repair and restore America’s cars? A Huge Product Line. Our catalog offers Drive on Frame straightening systems, efficient floor pulling systems, clamps, chains and hooks, dent repair tools of every type, paintless dent repair tools, sheet metal tools, Bondo and fiber glass tools painting and refinishing equipment, air tools, compressors, welders, and a host of other shop equipment. Outstanding Value. Our volume allows us to buy at the best prices. That means we can pass the savings along to our customers. In fact, in many cases our prices are better than the "jobbers" themselves pay. Great Service. Our stock items ship in 24 hours. 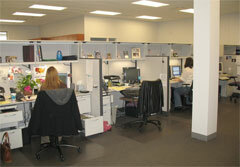 Our sales representatives are experienced, knowledgeable, and courteous. We offer a variety of payment methods. Satisfaction Guaranteed. Our customers have come to know that we stand behind our products and service. Period. Manufacturing. 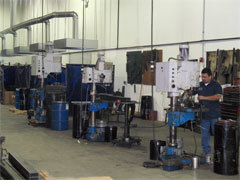 Unlike other distributors we actually manufacture many of our products. Yes, we still build the legendary Champ line in our own factory to assure the highest quality. And yes, the Champ line continues to represent one of the best values in the industry. Now Auto Body Toolmart brings its expertise and unequalled product selection to the Internet. The product displayed here can be used by the professional and the home mechanic. Whether you own and manage a 20 bay facility or are simply fixing up your own car you will find a wide offering of hard to find specialty tools for auto body repair and restoration in the Auto Body Toolmart Online Store. Welcome to Auto Body Toolmart! Give us a try and we're certain that you will join the over 50,000 professionals who have made Auto Body Toolmart their tool & equipment supply source.